The floor press is overrated. Don’t get me wrong, it’s a decent exercise and obviously has a time and place within a well designed program but most lifters (save for geared powerlifters and individuals with anterior shoulder pain) aren’t going to gain much from it. But What About All of the Floor Press Benefits? The floor press offers a variety of benefits including minimized leg drive and a major emphasis on improving raw upper body strength for the pecs, anterior deltoids, and triceps. And while powerlifters have touted these benefits for years in its defense, the reality is these benefits are not exclusive to the floor press. In fact, there’s another bench variation that encompasses all of the exact same benefits and probably has greater carryover to your bench press strength than the floor press. Regularly utilized by bodybuilders and unfortunately mocked by powerlifters, I’ve become a huge fan of the feet elevated bench press and would argue that it’s more effective than the floor press. Watch the short video below and I’ll let you in on a little secret…. There are limitless variations to choose from but below I’ve listed 3 of my top favorite variants of the feet elevated bench press. Feet Elevated Pause Bench Press: Perform the standard feet elevated bench press but when the bar touches your chest pause for 2-4 full seconds. Adding this brief pause will help improve both starting and explosive strength off the chest while teaching you how to stay tight throughout the entire lift. Feet Elevated 1.5 Bench Press: Perform the standard feet elevated bench press but in between every full repetition add a half repetition starting from your chest. Including this half rep will increase time under tension, lead to a greater hypertrophic stimulus, and absolutely destroy your pecs and triceps. 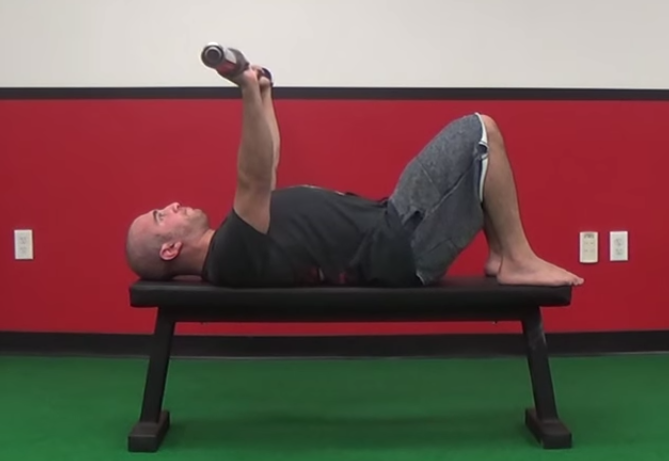 Feet Elevated Eccentric Emphasis Bench Press: Perform the standard feet elevated bench press but the eccentric (lowering) portion of the movement should last 3-5 seconds. Emphasizing the eccentric portion of the lift teaches you to establish control of the bar through a full range of motion (something most lifters lack) and can lead to far greater improvements in both strength and hypertrophy. Want to see my instructional tutorials for each of these videos? 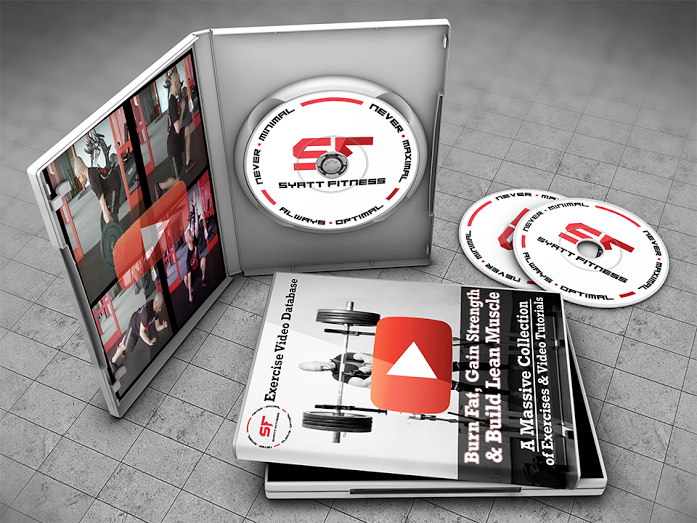 You can download my massive Syatt Fitness Exercise Video Database and get instant access to hundreds of exercise video tutorials. Intensity: On a scale of 1-10, difficulty should be a 6-8 on a regular basis. I prefer not to go excessively heavy with these as it significantly increases your risk of sustaining a shoulder injury. Sets & Reps: 3-5 sets of 5-12 repetitions per set. 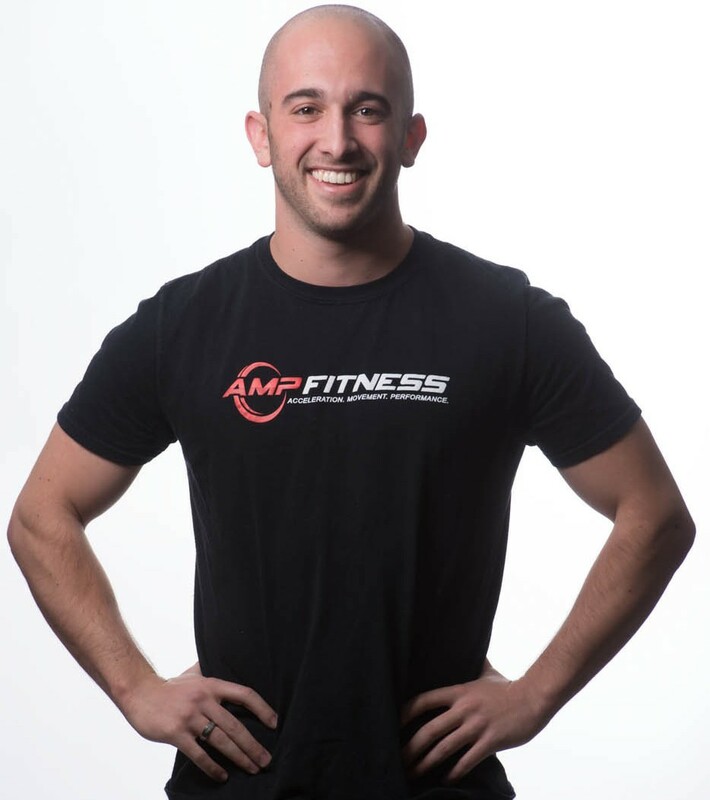 Workout Placement: The very beginning of your training session as either the 1st or 2nd exercise. As I noted above and in the video, the floor press is a decent exercise and it does have an appropriate time and place within a well designed training program. Specifically, the floor press is probably the better option for lifters with anterior shoulder pain who need a reduced range of motion (ROM). The same goes for geared powerlifters who wear a bench shirt as they tend to need more strength at lockout than they do immediately off the chest. If the instructional video and information helped you better understand the feet elevated bench press and how to use it, don’t forget to share it with your lifting buddies so they understand it too.